A homebred, and in many ways the epitome of what Darley is about, Monterosso is by fellow Darley stallion Dubawi, one of the world’s best sires. A descendent of the revered Dubai Millennium and out of Australian undefeated juvenile and G1 winner Porto Roca, Monterosso raced for Godolphin, won the Dubai World Cup and has now come full circle as he retires to stud at Darley. Trained in his formative years in the UK by Mark Johnston, Monterosso won five races before the end of June in his three-year-old season, culminating in an authoritative victory in the G2 King Edward VII Stakes at Royal Ascot where he defeated two future Classic winners by more than two-and-a-quarter lengths. Promoted to Godolphin as a four-year-old he began to excel. At Meydan he won the G2 Dubai City of Gold on turf before finishing an excellent third in the 2011 Dubai World Cup. His crowning achievement came the following season as he once again lined up for the $10 million Dubai World Cup, this time taking it in spectacular fashion and setting a Meydan race record. He ran it faster than both Animal Kingdom and Victoire Pisa. The field included some of the world's best runners - Royal Delta, Game On Dude, Japanese Derby winner Eishin Flash; globetrotter Planteur; and So You Think, a ten-time G1 winner who was four lengths behind him. Monterosso retires as the best descendent of Dubai Millennium over ten furlongs, with a Timeform rating of 128. Monterosso is his sire Dubawi’s top earner. 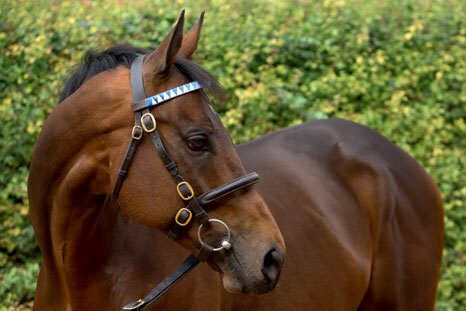 Dubawi is the sire of eleven G1 winners to date including five from his first crop and four in 2013. Dubawi heads Darley’s stallion roster in Europe where he commands a fee of £100,000 and is immensely popular with breeders. Dubawi’s first four crops make him the world’s leading sire by percentage of Stakes winners and Group winners to runners. Monterosso’s fee will be set at a later date. For more information please call Shotaro Kajiya on + 81 80 6094 9967.